Cornus sericea is often found at nurseries as Cornus stolonifera. Regardless of the name this is a plant for all seasons. Blooms in Spring, lush foliage, berries for the birds, fall color, and brilliant color when the Red Osier Dogwood is dormant. 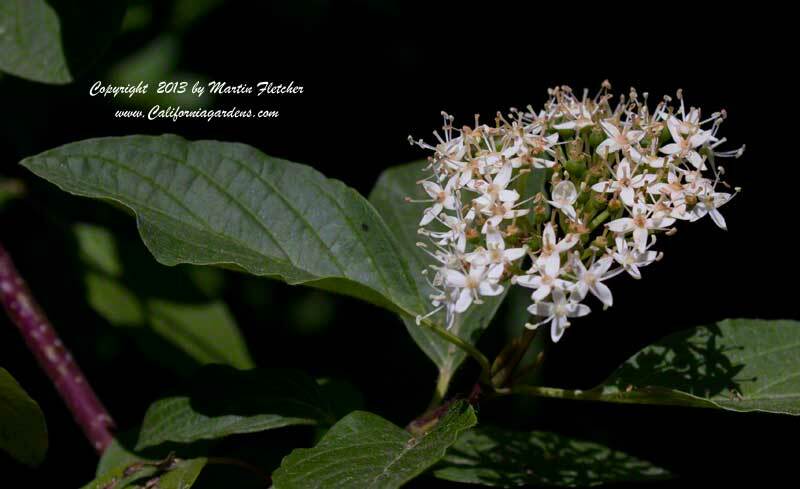 Cornus sericea grows well in deep rich soils and can be used to stabilize stream banks (another name Creek Dogwood). Cornus sericea grows through most of the US and Canada excepting the South and as such is called American Dogwood. Cornus sericea grows 10 feet or more tall and wide, and is moderately drought tolerant if it has to be. Berries are produced in the late Summer and Fall and are welcomed by the birds. Cornus sericea grows in full sun to part shade. Flowers and foliage of Cornus sericea - Red Stem Dogwood. High resolution photos are part of our garden image collection. 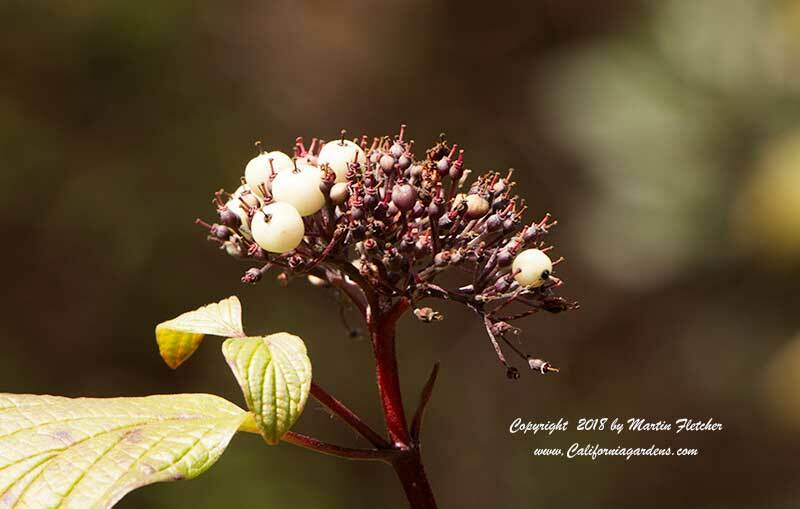 Early Spring berries and foliage of Cornus sericea - Red Stem Dogwood.